Q. We are trying to clean fingerprints off optics with ground glass barrels. We are using Liquinox and both manually wiping them and using ultrasonic cleaning. The Liquinox does not get the fingerprints off of the glass entirely. Why is that? What would you recommend instead and are your detergents safe for cleaning dielectrically coated optics? A. Both of our general purpose manual detergents Alconox® Powdered Precision Cleaner and Liquinox® Critical Cleaning Liquid Detergent, are suitable for cleaning dielectrically coated optics and known to be used for this application. Liquinox detergent may be easier to handle, measure, and dose as a liquid concentrate. However, Alconox powder may be ever-so-slightly more efficient. We still would recommend Liquinox and don’t think your issue lies with the detergent. Double check to make sure that the fingerprints have not etched the glass. Sometimes acids in fingerprints will etch the glass and leave a permanent mark on the glass that cannot be removed by cleaning. 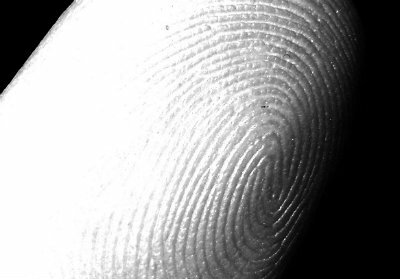 This can be especially difficult to correct if the etched in fingerprint is underneath the coating. Sometimes it is possible to polish a fingerprint etch out of the glass with a polishing cloth. If the fingerprint cannot be removed by wiping with a soft Liquinox soaked wipe, there is a pretty good chance this is an etch and not the surface oils of a fingerprint. If this is etched glass, the best thing to do is to improve handling procedures to eliminate fingerprints, or to clean more promptly to avoid time for etching to happen. You can also double check concentration, time and temperature used in cleaning. Typically Liquinox detergent is used at a 1-2% concentration (10 – 20 g/L or 10 – 20 mL/L) in warm solutions (50-60 deg C) for 10 minutes of ultrasonic followed by a thorough purified water rinse. Any wiping or scrubbing typically enhances this process. Increasing temperature accelerates cleaning (cleaning time is halved for every 10C). If, after heeding this advice, you still need more efficiency, then by all means use Alconox powdered detergent. As an aside, glass etching can also occur in a detergent solution/air interface where dissolved oxygen can form an etch line. This is especially a risk at elevated temperatures (although this takes days or weeks, not typical cleaning times).